high-performance wrinkle resistant technology makes this versatile shirt a breeze to care for and will keep you looking polished all day. 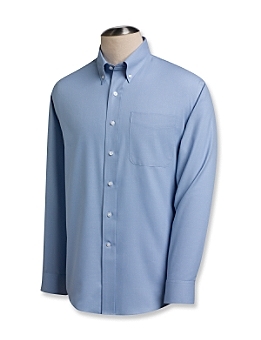 With a button-down collar, double back pleats, chest patch pocket, and barrel cuffs. C&B pennant at left cuff. 60% cotton, 40% polyester twill. Machine wash.